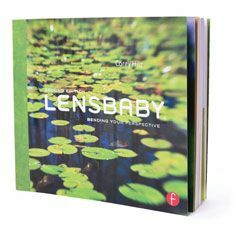 Portland, OR—Lensbaby announced the availability of Lensbaby: Bending Your Perspective, 2nd Edition, by Lensbaby expert Corey Hilz and published by Focal Press. This follow-up edition covers additions to the Lensbaby product family—the Composer Pro, Sweet 35 and Edge 80 Optics, Scout and macro converters. Lensbaby is the maker of creative effects camera lenses, optics and accessories for DSLR and mirrorless cameras that enable photographers to experiment with creativity in-camera. The effects include selective focus, fisheye, pinhole and more. Corey Hilz, a professional photographer specializing in travel and nature photography, whose work has been seen in numerous magazines, books and art galleries, has been shooting with Lensbaby lenses since the early days of the company. The book explains all of the creative possibilities Lensbaby offers and how seeing subjects with a new perspective is at the heart of the Lensbaby experience. 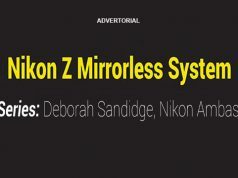 Lensbaby: Bending Your Perspective, 2nd Edition, covers everything Lensbaby users would want to know about the lenses, optics and accessories, and it includes technical help and creative tips for mastering each product. 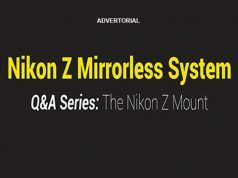 Among the techniques the readers will learn is how to place the “sweet spot” of focus, when to shoot wide open versus stopped down and which optics best create a miniature effect. They will also find ideas for their own work from hundreds of full-color photos by Hilz and other Lensbaby photographers. The book also includes a chapter devoted to video by guest author Clint Milby, who has more than 15 years in the film and television industry and is the publisher of HDSLRshooter.com and founder and CEO of Milby Media.